The 16-count indictment, returned by a federal grand jury in Alexandria, Va., charges Jefferson with solicitation of bribes, honest services wire fraud, money laundering, obstruction of justice, violating the Foreign Corrupt Practices Act, racketeering, and conspiracy. The indictment alleges that from in or about August 2000 through in or about August 2005, Jefferson, while serving as an elected member of the U.S. House of Representatives, used his position and his office to corruptly seek, solicit and direct that things of value be paid to Jefferson and his family members in exchange for his performance of official acts to advance the interests of people and businesses who offered him the bribes. The things of value allegedly sought and/or received by Jefferson on behalf of his business interests and relatives included hundreds of thousands of dollars worth of bribes in the form of payments from monthly fees or retainers, consulting fees, percentage shares of revenues and profits, flat fees for items sold, and stock ownership in the companies seeking his official assistance. The official acts allegedly undertaken by Jefferson included leading official business delegations to Africa, corresponding with U.S. and foreign government officials, and utilizing congressional staff members to promote businesses and businesspersons. 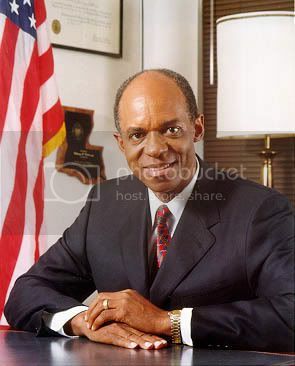 Business ventures that Congressman Jefferson sought to promote included: telecommunications deals in Nigeria, Ghana, and elsewhere; oil concessions in Equatorial Guinea; satellite transmission contracts in Botswana, Equatorial Guinea, and the Republic of Congo; and development of different plants and facilities in Nigeria. Jefferson has repeatedly denied any wrongdoing, though two former aides to the congressman have confessed to involvement in corrupt activity. Rolling Stone magazine last year named Jefferson the fourth-worst member of Congress, dubbing him "The Bribe Taker." The indictment comes a little more than a year after an FBI raid on his Congressional office and Washington home turned up $90,000 of cash in the freezer, wrapped in aluminum foil in $10,000 increments and stuffed inside frozen-food containers. Despite the discovery, the voters of his district re-elected him last year in a runoff election against Democratic state Rep. Karen Carter, who ran with the backing of the party establishment and was widely expected to win. But throwing a wrench into that outcome was Jefferson Parish Sheriff Harry Lee, a Democrat who in the last week of the campaign launched an effort to defeat Carter over her statements in Spike Lee's Katrina documentary criticizing sheriff's deputies and Gretna police officers for blocking evacuees from leaving New Orleans in the storm's wake. Lee mailed out 25,000 flyers and made public statements against Carter, who had called the officers' actions "inhumane and unacceptable." The charges in the indictment against Congressman Jefferson are extremely serious. While Mr. Jefferson, just as any other citizen, must be considered innocent until proven guilty, if these charges are proven true, they constitute an egregious and unacceptable abuse of public trust and power.